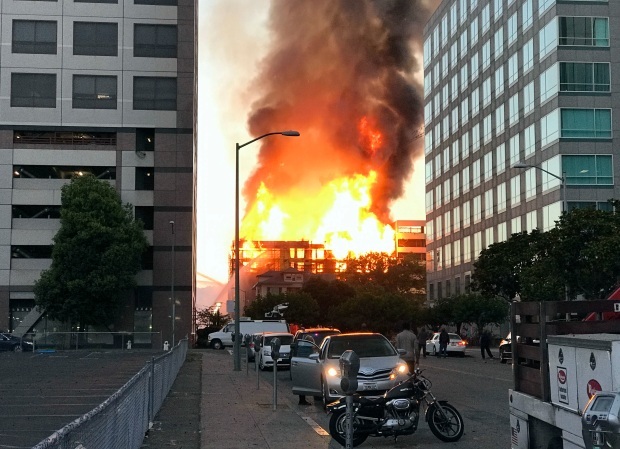 Federal investigators on Monday pieced through the charred skeleton of an under-construction apartment building in Oakland to determine if the blaze was accidental or intentionally set. The Bureau of Alcohol, Tobacco, Firearms and Explosives sent a national response team to examine the fire site at 2302 Valdez St., which caught fire early Friday and forced several hundred evacuations. The four-alarm blaze engulfed what would have been a mixed-use apartment complex expected to house 196 homes and up to 31,500 square feet of retail space upon completion next spring. No one was injured by the fire, but at least 700 people living and working in the area around the blaze were asked to leave their homes and businesses while crews battled the flames and worked to dismantle a structurally unstable crane marred by the fire. The crane was successfully removed Saturday evening, allowing many evacuees to slowly return home. As most evacuees returned home Sunday, a new evacuation order was issued for a neighboring building. About 7 p.m. Sunday, glass and debris began falling from the building at 180 Grand Ave., leading to the closure of that building, fire officials said. The evacuation order at the building would remain in place until an investigation to determine its condition, officials said. Neighbors in Oakland’s Uptown are angry and concerned. "We're worried about the safety and about the people," said Lucretia Jernigan. And local businesses also are feeling the fallout, with far fewer people shopping near this stretch of 23rd and Webster, where the fire burned a planned residential and retail complex. "This is bad for us," merchant Lydia Guan said. The blaze comes on the heels of three separate fires at construction sites in the area between July 2016 and May 2017. 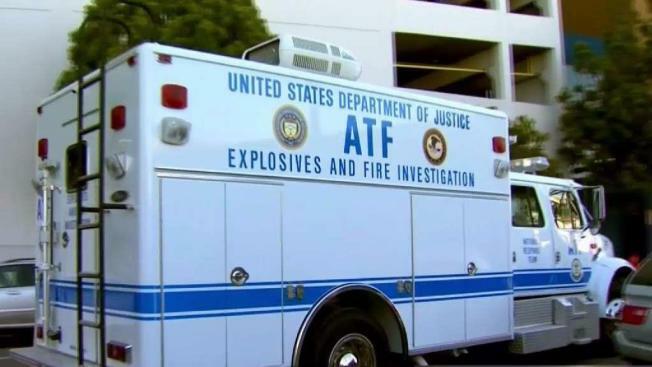 The ATF is offering a $110,000 reward for any information leading to the arrest and conviction of the person or persons responsible for those blazes. The reward does not mention the most recent blaze.